With New Year&apos;s Eve on a Thursday and New Year&apos;s Day on a Friday, the passage of 2015 is an opportune time for a four-day getaway in Montgomery County, Pa. Better still, the following celebrations include many budget- and family-friendly recommendations, making for a New Year&apos;s Eve that can be both festive and frugal. Multiple ways to pop the cork for 2016 are taking place at the Valley Forge Casino Resort. 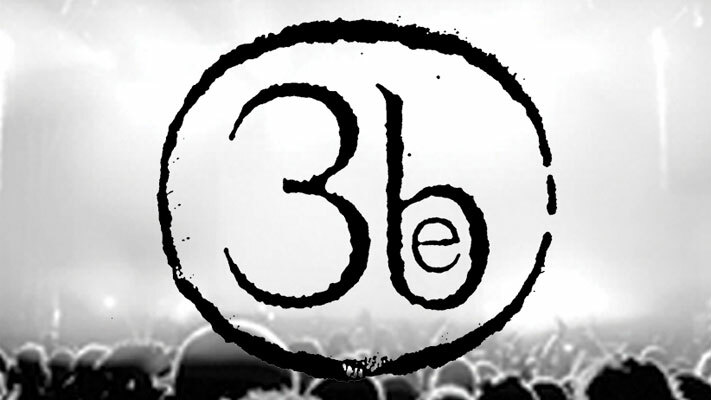 The Valley Forge Casino Resort Music Fair features Third Eye Blind, live in concert. The casino&apos;s hot nightclub The Vault throws King of Prussia&apos;s hottest party. The music at the Center Bar keeps the place jumping from 7 p.m. to 1 a.m. Valley Tavern has a three-course dining experience where Prime Rib stuffed with crab is the center attraction. And the casino&apos;s newest dining experience, LP Steak, has executive chef Luke Palladino adding his zesty updates to traditional favorites. The stage at Ardmore Music Hall becomes party-central on December 31. The 10 a.m. show is geared toward children, with the trifecta performances by Alex & the Kaleidoscope, Baby Loves Disco and Studio 1200 DJs. A balloon drop at noon gives the little ones a shot at a big countdown. The adult version of the hall&apos;s New Year&apos;s Eve program takes over at 8:30 p.m. The evening entertainment is by PhillyBloco, a 23-piece ensemble that blends the sounds of Brazilian, Samba, Funk and Reggae. El Poquito Restaurant has a firmly established reputation for great Mexican fare. It offers a multicultural New Years, mixing a little mariachi with the Mummer&apos;s strut. The party, which runs from 10 p.m. to 1 a.m., has open bar and an endless parade of tacos, guacamole and chips. New Year&apos;s at The Water Tower is the chance to play like a kid and then party like and adult, thanks to its proximity to Arnold&apos;s Family Fun Center. 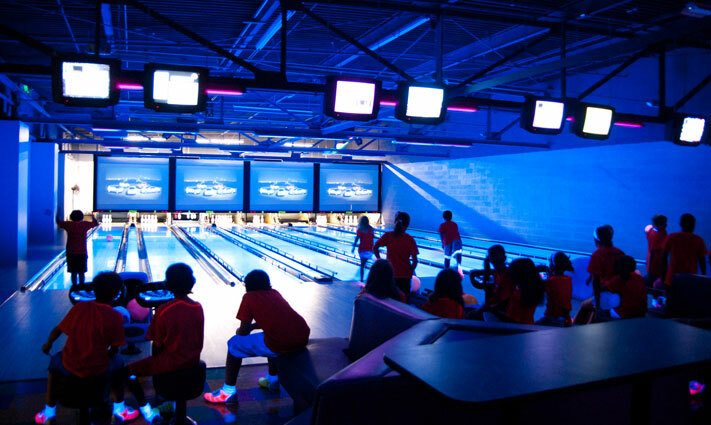 Tickets include access to go karts, laser tag, unlimited bowling and the arcade. At 9 p.m., the music responsibilities are handed over to The Sofa Kings, a high-energy 10-piece band. An easy option to make a full weekend out of the celebration is the Hilton Garden Inn Valley Forge, a walkable distance from the party. At Farmer&apos;s Daughter in Blue Bell, the prix fixe four-course dinner can begin with a charcuterie and cheese board and move onto favorites like lobster bisque and a 16-ounce ribeye. Malvern&apos;s Historic General Warren Restaurant has a full range of special celebratory entrées that include sautéed lump crab cake and New Zealand rack of lamb. Creekside Sports Bar (at Landis Creek Golf Club, Limerick) kicks off with a DJ before switching to a live country cover band. Just prior to midnight, the big countdown begins, and champagne toast sets the confetti flying. Dip into 2016 at The Melting Pot, King of Prussia, where dinner opens with a macaroni and five-cheese first course. Salad and entrée follow, of course, but the gooey desserts are the centerpiece. A scaled-down, friendly-priced kids&apos; menu is also available. The professional kudos coming to chef Chip Roman at Blackfish BYOB, Conshohocken, have been piling up since its opening in 2006. If you&apos;ve made the resolution to finally sample the top-notch menu for yourself, the prix fixe New Year&apos;s dining experience is a great opportunity. The historic Blue Bell Inn has seen 272 New Year&apos;s celebrations, going back to its founding in 1743. As one of the oldest - and best - places to welcome January1, tickets often sell out, so quick action is advised. 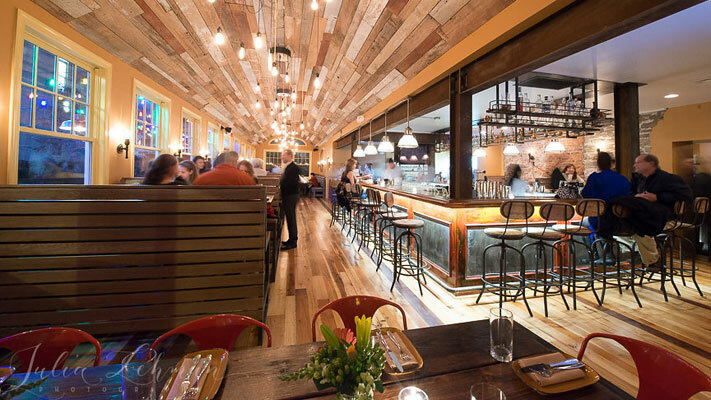 Where better to raise a toast to 2016 than at one of the finest wine bars in Skippack? Village Wine Cellar has three seatings (5 p.m., 7 p.m. and 9 p.m.) for an expertly crafted four-course dining experience prepared by Chef Matt Evans. Montgomery County visitors in the northeastern section of the county have easy access to the multi-phase celebration at Sellersville Theater and Washington House. The latter serves a five course dinner with champagne toast. The former has two performances (7 p.m. and 10:30 p.m.) of Dr. K&apos;s Motown Revue, a tribute to the sounds of Stevie, Smokey, Marvin, Michael and the Temps, Tops and Supremes. The dining room at Woodside Lodge in Schwenksville is rustic and comfortable, an ideal spot for a New Year&apos;s Eve of quiet conversation with loved ones. The prix fixe menu brings plate after plate of culinary expertise, and the two seatings (5 p.m. and 7:30 p.m.) are conveniently timed. Black Powder Tavern invites diners to bid farewell to 2015 in an authentic - but inviting - colonial setting, where the menu includes roasted prime rib, pan-seared sea bass and veal saltimbocca. Celebrate the start of 2016 in Lansdale. The Holiday Inn New Year&apos;s Eve Package bundles together all the essentials: tickets for two adults to a rousing party, featuring a three-hour premium open bar, hors d&apos;oeuvres station, champagne toast at midnight and live DJ. The next morning, enjoy a breakfast buffet for two and late check out. Celebrate the New Year with the kids at the third annual Lulu&apos;s Casita White Party, a countdown to noon fiesta. Enjoy pizza, refreshments, arts and crafts and live music from 10 a.m. to 12 p.m. The official toasting will be with apple juice for kids and champagne for parents. The New Year&apos;s Eve gala at Sunnybrook Ballroom is customizable. A cocktail package features open bar and hors d&apos;ouvres from 9:30 p.m. to 1 a.m. Dinner, which includes entrees, dessert, tax and gratuity, can be added. Backing all the festivities is the danceable sounds of The Bachelor Boys Band. Doors at Presidential Caterers, Norristown, open at 8 p.m. on December 31, leading revelers to a dinner and dancing celebration that lasts until the confetti stops falling at 1 a.m. Music is provided by both a live band and a DJ, meaning no breaks in the action. The open bar is premium and the food is gourmet-style. Austrians, Swedes, and Germans traditionally eat pork on New Year&apos;s Day as a token of good luck for the coming year. The proprietors of Brittingham&apos;s Pub take that notion literally, scheduling Go HAM for its December 31 celebration. This Montgomery County-based dance band exhibits equal skill in the sounds of 50 Cent as it does with Neil Diamond. Midnight brings a pub-wide champagne toast. Weather forecasters are calling for a strong el niño for winter 2016, meaning this year&apos;s ice skating season might be more indoor than outdoor. Step off on the right foot. An old-fashioned skating party fills Hatfield Ice Arena on December 31 from 12:30-2:30 p.m.
New Year&apos;s resolutions often combine goals like getting in shape or being more altruistic. Get started on both goals at the Run for Jack New Year&apos;s 5k. This multi-phase event (5k run, one-mile walk, kids&apos; 50-yard dash) benefits young Jack Cavanaugh, a two-year old with a rare condition affecting the growth of his joints and limbs. 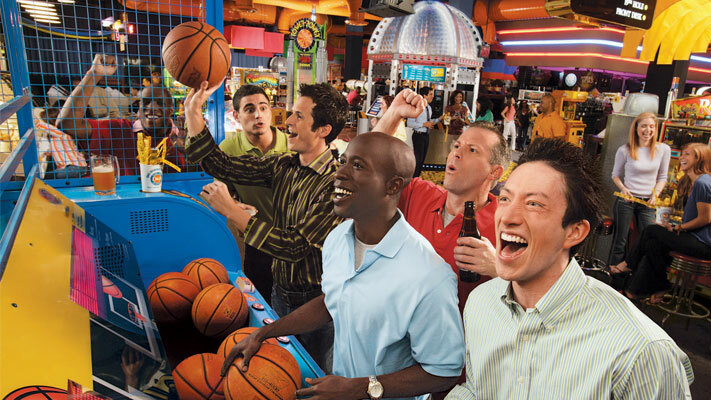 Dave and Busters allows partiers to customize their farewell to 2015. A package for kids under four years old covers video games on the Million Dollar Midway and entertainment like a magician and DJ (with a balloon drop). Older kids and adults can enjoy the game play and performances - and also dig in at a buffet that includes an ice cream station. 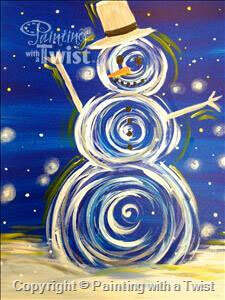 Get your New Year off to an artistic start with the 10:30 a.m. class at Painting with a Twist. The subject - perfect for adults and kids older than six - is a festive snowman whose swirly body and dapper hat is set against a background of a starlit winter night. Beverages and snacks are, as usual, bring-your-own, so youngsters can enjoy a sip of ginger ale while adults sample something else that&apos;s appropriately bubbly. 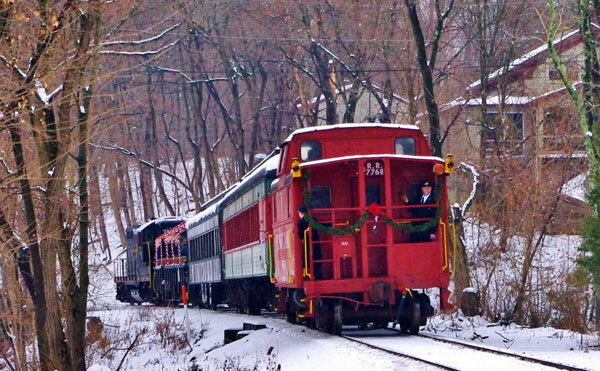 Colebrookdale Railroad takes a multi-day approach to its 2015 send-off. The train&apos;s Snowflake Special (10:30 a.m., 1 p.m. and 3:30 p.m.) and Starlight Express (6 p.m.) run December 26-30 and are a great way for friends and family to link arms and hum a few bars of Auld Lang Syne. The Hampton Inn offers a special price for a special night - the last evening of 2015. The great rate of $89 includes a hot breakfast buffet and WiFi, and the Exton location makes for easy access to Montgomery County&apos;s best New Year&apos;s Eve/Day events. Apart from all the New Year&apos;s celebrations, this weekend also offers a unique learning experience for kids (yes, while they&apos;re still on Winter break!). The Young Innovators Fair is an educational opportunity that brims with plenty of interactive, hands-on, brain-powered exploration. Build. Fly. Experiment. Perform. Both science and science fiction come alive in irresistible ways for innovators from grades K through 12 - and their parents. The show runs at the Greater Philadelphia Expo Center January 1-2 from 9 a.m. to 6 p.m. 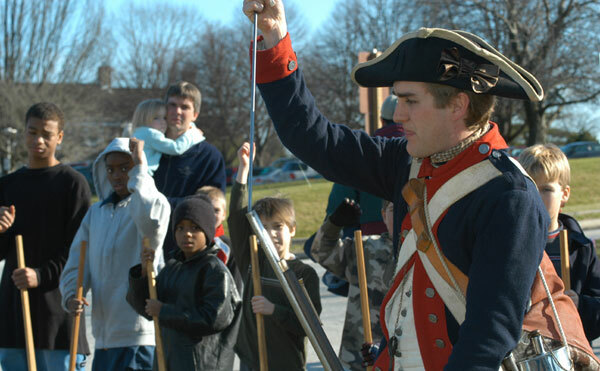 The National Park Service kicks off its centennial year in 2016, and young history buffs can get off on the right foot during the January 2 session of Join the Continental Army. At 11 a.m. at the Visitor Center, recruits can "muster up" and learn how to march, drill and maneuver just like a patriot. Park Rangers in period uniforms provide the lessons - and review the results. With its accent on fun, the training always ends with a rousing cry of "Huzzah!" Revelers west of Montgomery County on New Year&apos;s Eve, perhaps enjoying Sight & Sound Theater&apos;s production of The Miracle of Christmas or the spectacle of Koziar&apos;s Christmas Village, can swing into the New Year&apos;s Eve Celebration at Shady Maple Smorgasbord, from 2 p.m. to 8 p.m. The comprehensive buffet kicks it up a notch to welcome 2016. Count down to 2016 with (who else?) The Count in the family-friendly setting of Sesame Place in Langhorne. Enjoy a celebratory meal, ring in the New Year and snap the last of those holiday photographs with favorite Sesame Street friends. At 6:30 p.m. - right after the Neighborhood Street Party Christmas Parade - the skies above the park light up with fireworks. The Adventure Aquarium, Camden, has a whole day of celebration for the younger set (10 a.m. to 6:30 p.m.), including a great view of the late-afternoon fireworks over the waterfront. The over-21s take over at 8 p.m. (for VIP ticketholders) or 9 p.m. (for general admission) for food, beverage, dancing and a primo spot for the midnight pyrotechnics. To make the most of a four-day New Year&apos;s weekend, remember that most of the county&apos;s holiday displays - such as those in the Bryn Athyn Historic District, Morris Arboretum, Peter Wentz Farmstead, Pottsgrove Manor and Pennypacker Mills - generally remain open until the end of the first week of January. In addition, our website lists all accommodation options for the New Year&apos;s weekend - as well as the rest of the year. We wish you all the best for you and yours in 2016.